This site isn't about making money - it's about building an on-line Open Gardens community resource that will be invaluable both to Open Gardens organisers and also visitors. It has been conceived, designed and is run by two Open Garden enthusiasts who organised their village's Open Gardens event and also opened their own garden. 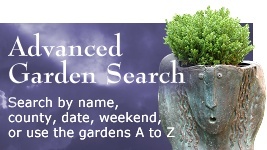 For garden owners and organisers, this site is all about getting your event publicised and successful. For visitors, it's about access to information - which open garden events are taking place, where they take place, times, and dates. 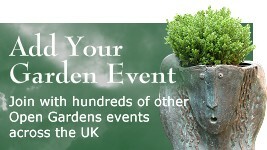 If we can bring together event organisers, garden owners and garden visitors, then we'll have succeeded. Of course, we also have to be realistic about the costs of keeping a complex site like this going, but we'll try to fund the site by asking for small donations. 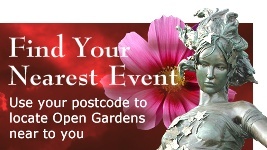 If everyone who uses this website pays just a little, we'll have enough to keep the site going, then everyone benefits - event organisers and visitors alike - with the open gardens community funding the website.